In a rapidly evolving market, being competitive is one of the biggest challenges companies of all sizes face. Thus, time to market is the key to survive. A partnership is a way to mitigate this risk by fast pacing the way a company innovates, therefore gaining market advantage. We will be talking about the key challenges and benefits of innovating through partnerships, and how the current digital ecosystem is facilitating the process. Key challenges of integrating with Partners, what are the fundamental aspects to monitor and assess innovation. How partnerships affect the innovation process and why is different from other innovation activities. How is the ecosystem facilitating digital partnerships? Learn about leveraging digital innovation through partnerships, identify the kind of partnerships one can leverage for innovation within the organization, learn how to overcome the key challenges of integrating partnership-innovation strategies in a digital ecosystem, learn how partnerships can help mitigate the organizational risks and help accelerate growth, learn what kind of partnerships affect innovation processes, get to know the various fundamental aspects which get monitored and assessed as one leverages innovations through partnerships. This webinar talks about the key challenges and benefits of innovating through partnerships and what kind of partnership-innovation environment is being adopted by the current digital ecosystem. 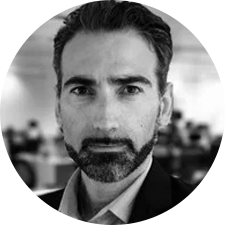 Antonio is a Principal Consultant at Capco, a Senior Scrum Master and is the lead for Digital Innovation and Partnerships. He has more than 14 years of working experience in Building Digital Ventures in APAC across multiple industries. He has been delivering innovative digital proposition, using design thinking, fast prototyping, lean and agile practices, including an end to end system development, API integrations, Cloud-based development, technology review, operations & system performance improvement. He has led teams in a range of industries within different cultures and professional backgrounds.